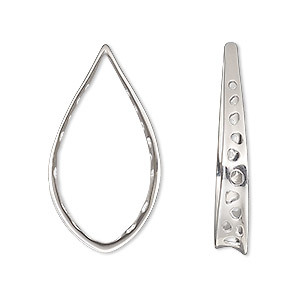 Component, Amoracast®, sterling silver, 32x18mm open teardrop with 23 holes. Sold individually. 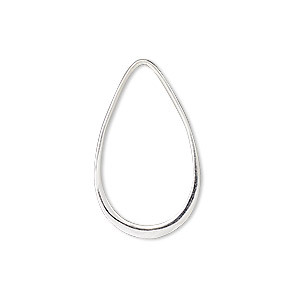 Component, sterling silver, 28.5x17mm open teardrop. Sold individually. 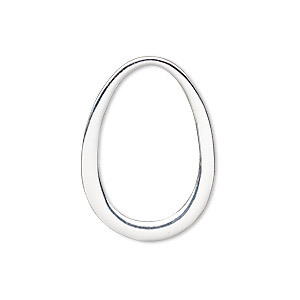 Component, sterling silver, 29.5x21mm open teardrop. Sold individually. 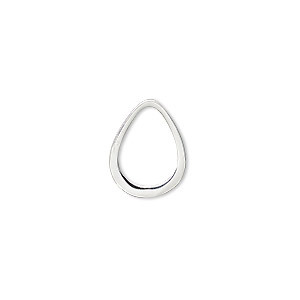 Component, sterling silver, 16x12mm open teardrop. Sold per pkg of 2. 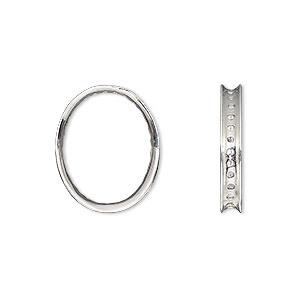 Component, Amoracast®, sterling silver, 20.5x16mm open oval with 3mm wide channel, 28 holes, fits 2-6mm bead. Sold individually. 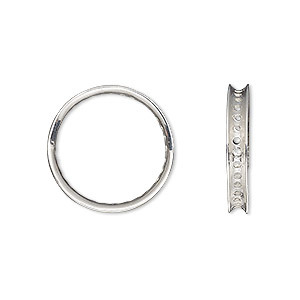 Component, Amoracast®, sterling silver, 20mm open round with 3mm wide channel, 32 holes, fits 2-6mm bead. Sold individually. 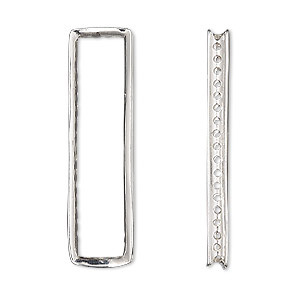 Component, Amoracast®, sterling silver, 38x10mm open rectangle with 3mm wide channel, 44 holes, fits 2-6mm bead. Sold individually. 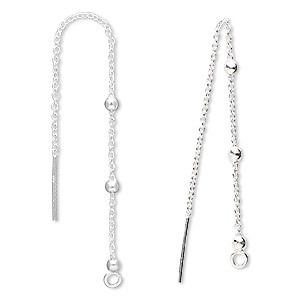 Ear thread, sterling silver, 2-3/4 inches with closed loop. Sold per pair. 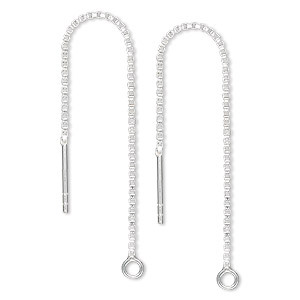 Ear thread, sterling silver, 3-1/2 inch cable chain with 3-balls and loop. Sold per pair. 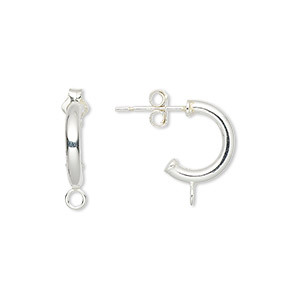 Earring, sterling silver, 15mm half hoop with closed loop and post. Sold per pair. 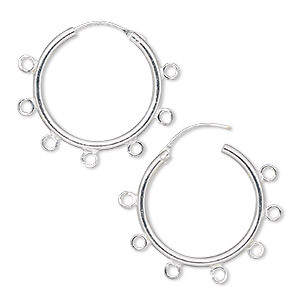 Earring, sterling silver, 24mm round hoop with 7 open loops and endless-loop closure. Sold per pair.